Laser Away The Years With These Specials! 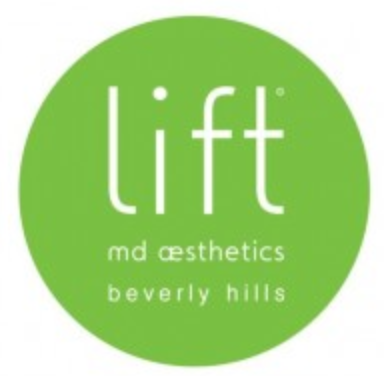 We are pleased to now offer LIFT Fractional Laser Resurfacing treatments, a procedure that turns back the aging clock! LIFT Fractional Laser Resurfacing is the treatment of choice for sun damage, brown spots, acne scars, fine lines and wrinkles, and uneven pigmentation. 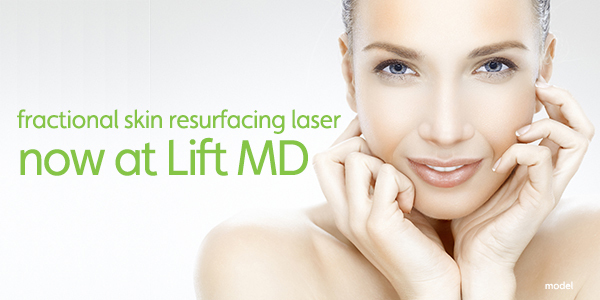 This advanced laser combines the effectiveness of CO2 lasers with an innovative fractional technology. Fractional means that only a fraction of the skin surface is exposed to the laser beam, leaving untreated skin around each micro spot. This promotes fast healing and a short recovery time. The laser beam delivers a therapeutic matrix of tiny beams of light energy (each about the size of a hair) to the top and mid layers of the skin. Treatments can be safely performed on the face, neck, chest, arms, and hands. The fine pinpoint pattern will disappear and the skin will have a tanned look. Makeup can be applied, and most return to their normal daily routine. The top layer of the skin will peel during normal washing, revealing new rejuvenated skin with improved color and texture. The peel will be complete in most cases. Avoid prolonged sun exposure for a least 3 months. Apply a moisturizing SPF 30 sun block ever day. You will see continued reduction of fine lines and wrinkles over the next 6 months as new collagen is produced. Almost everyone is an ideal candidate! Even patients with darker skin complexion, such as Hispanic, Asian, and Middle Eastern can be treated with this laser. The procedure takes about 45 minutes. We usually apply a topical anesthetic cream before the treatment. A small amount of pain medication or Valium can also be prescribed to make the procedure more comfortable. We can safely treat the face, neck, chest, arms, and back of the hands. How is this Different from other Lasers? Lift Laser Resurfacing treatments deliver more results in a 45 minute treatment than other lasers can accomplish in 3 treatments for less discomfort and downtime. Some patients are ready to go back to work the next day, but it depends on the patient and their lifestyle. Other patients like to take a few days off. Typical downtime is 4-5 days. Patients will be red and a little swollen the next day or two. On the third, fourth, and fifth day, most patients are peeling and can experience a little itchiness typical to a sunburn. Right away! Patients will see most of the benefits by the time the skin is completely peeled, and will continue to see results for up to 6 months with new collagen regeneration.